Heat oven to 375 F. Lightly grease cookie sheet with shortening or cooking spray. Divide dough in half. Roll each dough half to1/4 inch thickness on generously floured surface. 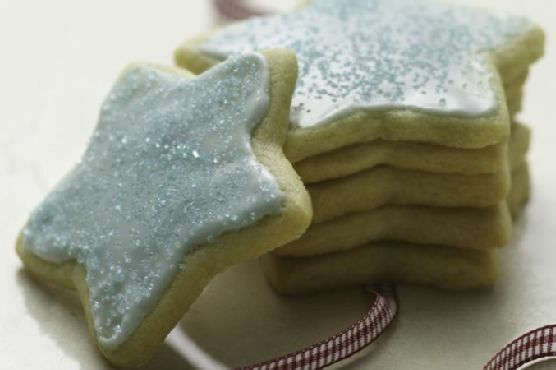 Cut into desired shapes with 2- to 2 1/2-inch cookie cutters. On cookie sheet, place cutouts about 2 inches apart. Bake 7 to 8 minutes or until edges are light brown. Cream Sherry, Madeira, and Moscato d'Asti are my top picks for Sugar Cookies. A common wine pairing rule is to make sure your wine is sweeter than your food. Delicate desserts go well with Moscato d'Asti, nutty desserts with cream sherry, and caramel or chocolate desserts pair well with port.